Your mission, should you choose to accept it, is to create a truly unique IoT design. As always, should you or any member of your engineering team be caught or killed, we will disavow any knowledge of your actions. This podcast will self destruct in five seconds… As we all know, IoT designs present us with a unique set of prerequisites and board design challenges. 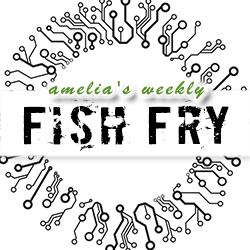 In this week’s episode of Fish Fry, Ted Pawela (Chief Marketing Officer — Altium) joins us to discuss the biggest PCB trends in the IoT ecosystem and what complex board design challenges will look like as we progress to the next generation of connected cars. Also this week, we take a closer look at some creative new beer names invented by engineer extraordinaire Janelle Shane’s industrious AI neural network.